Dr Lyomoki says people above 75 years are usually weak and have memory lapses. Courtesy photo. KAMPALA–The debate on whether President Museveni will be medically fit to lead the country after clocking 75 years of age has sharply divided some medics within NRM party. Workers MP Dr Sam Lyomoki insisted that at 75 years, one becomes weak, can’t reason well and develops memory lapse. “It’s impossible to be productive at 75 years and above,” he said. Lyomoki was appearing on local radio station this morning. But his counterpart Dr Chris Baryomunsi, the State minister for Housing, rubbished Lyomoki’s assertion and instead said those against the lifting of the age limit within the NRM party are bargaining for more from the President. “They want to benefit more by creating an opposition within the party but they will be exposed,” Baryomosi said. While meeting NRM party youth recently, the Prime Minister, Dr Ruhakana Rugunda, said the age limit clause has no scientific basis. ” I have not come across any scientific research that shows that someone below 35 years or above 75 years lacks the capacity to lead. Those are unscientific barriers,” Rugunda said. When President Museveni was asked by journalists at State House, Entebbe, whether he was still standing with what he told NTV that somebody at 75 years is not fit enough to be a leader, he said medical doctors should come up with written report to help the country. “Let’s start with the biology; one who is 75 years old is he fit? Well, I think we should ask the medical doctors; they could help us with a written report. Go and ask them to write a medical report about the fitness of somebody who is 75 years, whether they are medically fit to lead,” Museveni said. But the Lord Mayor Erias Lukwago says the medical report should be conducted on President Museveni, arguing that compared to other locals who are in their 70s, President Museveni has over worked his body. “He has been in power for more than 30 years, meaning he is physically and mentally exhausted,” the Lord Mayor said. Museveni, however, said those in 70s who have looked after themselves well can be more healthy than young people. On Tuesday this week, the NRM caucus and some ministers convened and passed a resolution to table a motion in Parliament seeking to amend Article 102(b) of the Constitution that bars persons below 35 years and those above 75 years from standing for the highest office in the country. If NRM MPs fail to scrap the article, President Museveni will not contest in 2021 because he will be above 75 years. Appearing on the same talkshow with Lwomoki, Dr Abedi Bwanika, a former Presidential candidate and the president of the People’s Development Party(PDP), asked Ugandans to defend the Constitution by camping at legislators’ homes. “Before allowing to speak at any functions, they should tell you where they belong. 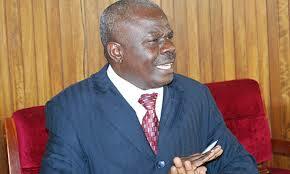 This pressure will work,” Bwanika said. Cabinet sitting in Entebbe On Friday approved the resolution by NRM MPs to table a motion in Parliament to amend the 1995 Constitution and remove the presidential age limit. The Cabinet, according to a press release seen by PML Daily, was addressed by Government Chief Whip Hon Ruth Nankabirwa about the proposal and that the ministers advised the NRM MPs to carry on with it.